Check our calendar for available holiday rental vacation dates and contact us using the booking enquiry form before we're booked ! 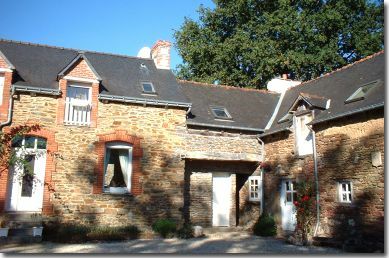 Nestling in the heart of the rolling Brittany countryside and surrounded by tranquil forests, Les Vallées Gite is a 100+ year old traditional Breton longere (long-house) stone and slate farmhouse that has been tastefully renovated into a comfortable and relaxing holiday home that will be exclusively yours for your stay with us. Our Breton farmhouse Gite has retained many of the original features such as massive oak beams, a wood burning fire and traditional tiled floors; whilst we've worked hard to make it a family 'home from home' with Sky TV, DVD, Playstation 3 and games in the lounge, central heating and a fully fitted kitchen with everything you'd expect to find at home (even including sandwich boxes for picnic's and kid's plates and cutlery for the little ones)! 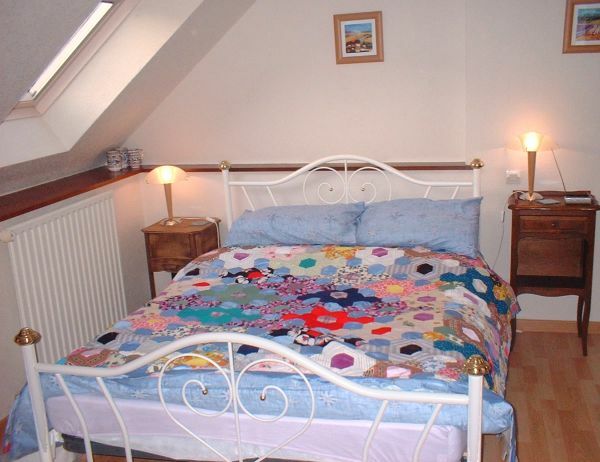 We can sleep up to 6 people with two double bedrooms, a twin bedroom, plus there are two cots and a nursery area. The Gite is suitable for couples, children and families of all ages, and we are also happy to welcome your pets on holiday as well. 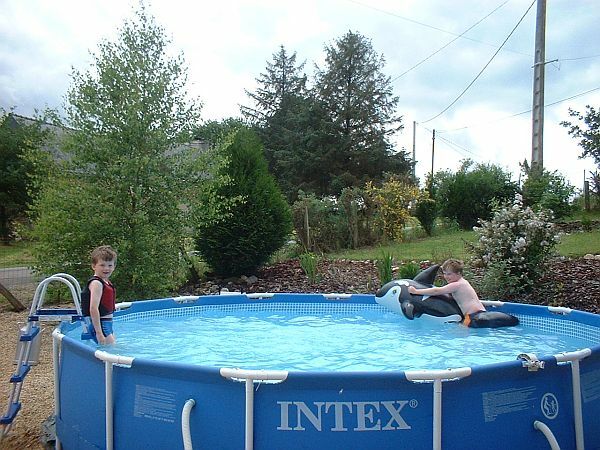 Outside there's a large south/west facing sun patio and BBQ, half an acre of enclosed garden with fruit trees, adult bikes, children's toys, climbing frame and a 15 feet outdoor splash pool. 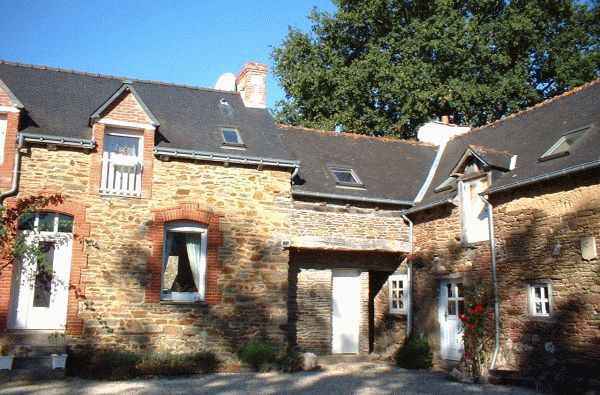 Our Brittany Gite is in a small rural hamlet of 5 houses right in the middle of Brittany on the border of department 22 (Cotes d'Armor) and 56 (Morbihan). 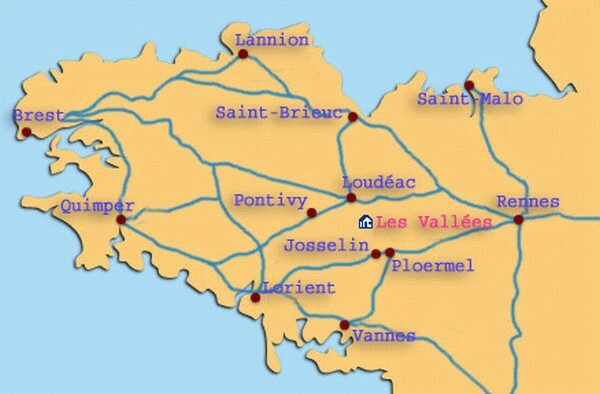 We're perfectly situated, only 30 minutes from both the North and South Brittany coasts, as well as having being close to many local Brittany towns, villages and attractions within this beautiful part of North-West France. 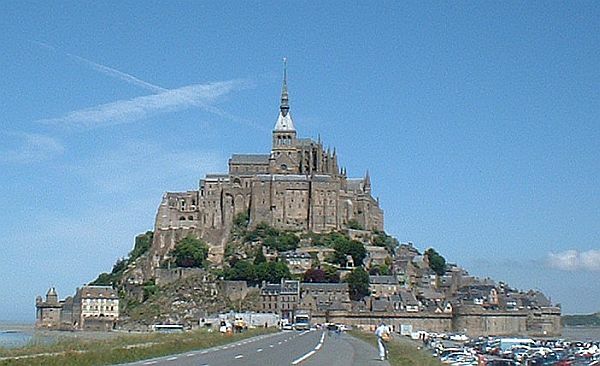 Cross channel ferries from Portsmouth and Poole arrive at St Malo, only 1 ½ hours drive away, or it's an easy motorway drive with full directions provided from Caen, Cherbourg, Le Havre, Dieppe, Eurotunnel or Calais to the Gite. 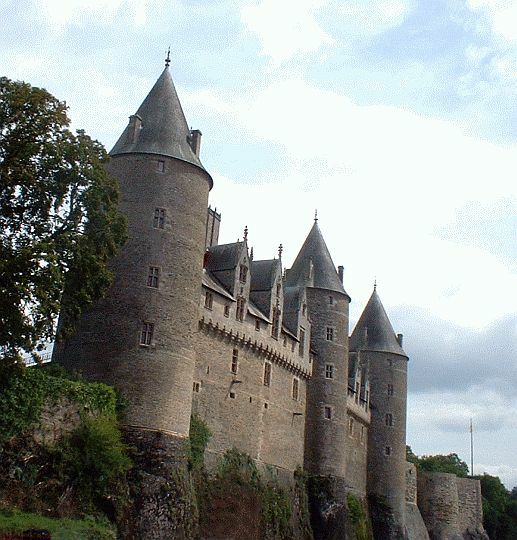 Alternatively there are several low cost airlines flying from the UK and Ireland into Brittany at regional airports at Rennes, Lorient, Dinard, Brest and Nantes. For full details of ferry and airline travel choices and location maps, see the ferry and airline travel options part of our website. 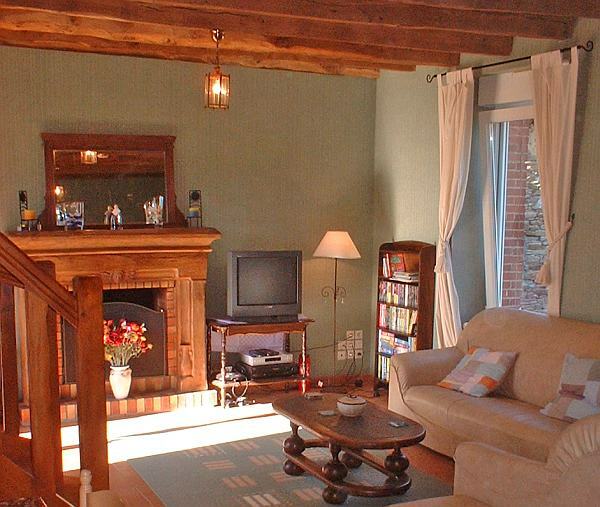 Within walking distance of the Gite is the village's bar/restaurant and the nearby town of La Cheze is only 2 miles away with patisserie, supermarket, restaurants, banks, post office and cafe. 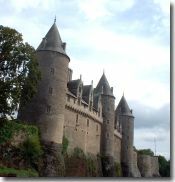 Only slightly further afield are the market towns of Loudeac (8 miles), the Napoleonic town of Pontivy (14m) and Josselin, a medieval 'little city of character' (12m) with the magnificent Chateau, historic old town and Nantes/Brest canal. 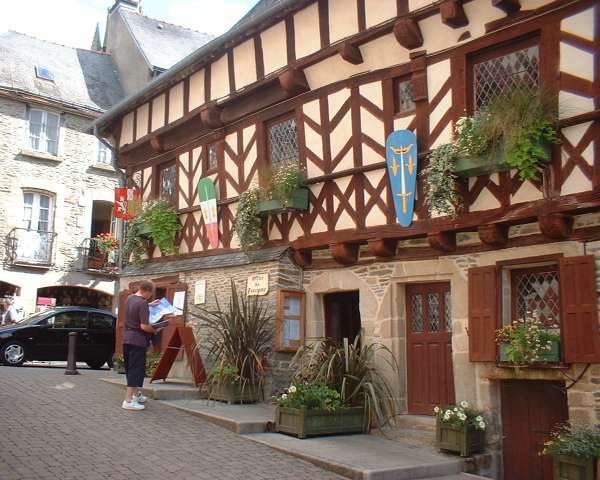 Please browse our website to read more on our comfortable Brittany holiday home, some of the many nearby places to visit, current vacation rental availability or please telephone or email us and we'd be happy to help. What's RSS, our Weblog, and how can I subscribe?